How to keep your kids entertained this summer? It is a major challenge for parents when their kids are home all day and you don’t get to send them off after breakfast. Now you actually have to entertain them all day. How do those elementary school teachers do it? Well, if your children like to craft, that is certainly an option. If they don’t like to craft – get them into crafting so that you can get them busy making paper mache crafts this summer and hang on to a tad bit of your sanity. When it comes to paper mache, the possibilities seem to be just about endless. There are so many creative things you can do with it. 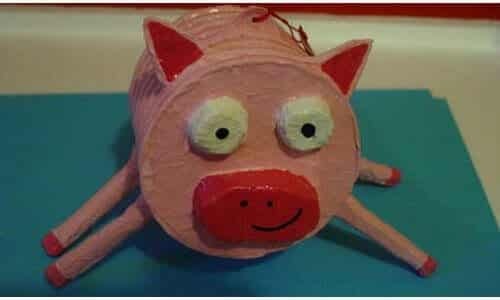 Here is a little paper mache craft that I learned about recently, one that your kids are sure to find entertaining. Making a paper flower vase. I suggest working on projects like these, which can get a little bit messy, on a surface that you don’t mind getting stained – maybe an old shoe bench or something. The first thing you have to do is paper mache the jar of juice to cover it with three pieces of plain white paper – that is, of course, after you have your kids drink all the juice. Allow it to dry. Use any paints or markers that you want to color your paper mache vase a fun color. If you know what kind of flowers you will put in your vase, you can paint it so that they will match. This not only a craft but also a great way of killing two birds with one stone – giving your kids an outlet for their energy and imagination on a warm summer day and decorating your home.